Transpecos Foods, LP announced on May 26, a product recall for its onion ring products due to the presence of an undeclared allergen. Consumers who are allergic to egg or milk should refrain from eating it in order to avoid allergy attacks. 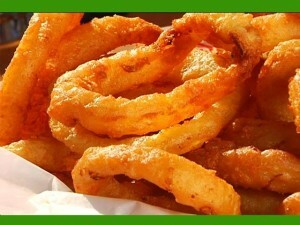 No illnesses related to the recalled onion rings have been reported. The recalled products were distributed in all parts of the United States including South Carolina, Pennsylvania, Georgia, Wisconsin, Alabama, New Jersey and Texas. Concerned buyers of these products may call the company’s hotline, 1-432-447-2828 and they can also return the onion ring products at the store. A refund will be given after the store has received the product. The company is open for customer concerns and assistance from Monday to Friday, 8 in the morning to 5 in the afternoon, CST.